Stress, Deadlines, Excitement, Cases, Clubs, Sports, and countless more things are an inseperatable part of any B-School, but that one thing which separates my school, from the other premier B-schools is its beauty. There would be no doubt, what so ever, in saying that it’s a baby in the nature’s lap. This was one thing which actually drove me to Kashipur, away from all the institutes in the polluted concrete jungles of the country. The institute is filled with beauty all around, every morning I wake up to see the mighty Kumaon mountains from my window, then it takes me through the pleasant wind that clings my skin, while running to the class, sometimes to the unpredictable heavy rains which lash the campus and not to forget the loud howling’s of the animals from the wild during the night Etc. are few experiences which make the day in Kashipur memorable. Apart from nature’s beauty around it, the institute also holds one of the most beautiful campuses among its peers. The campus is not only home for 400 future leaders but also for innumerable beautiful creatures, the 200-acre campus has everything that a management student would ever imagine of. The open air theater, fondly called the Amphi carry’s a charm of its own. The student dorms of the institute, have a very specific design, which has been inspired from the dorms of Harvard. Each dorm holds 6 students with an open area which the students extensively use for discussions and debates. A student at Kashipur will always cherish the red brick walls of the Institute for life. 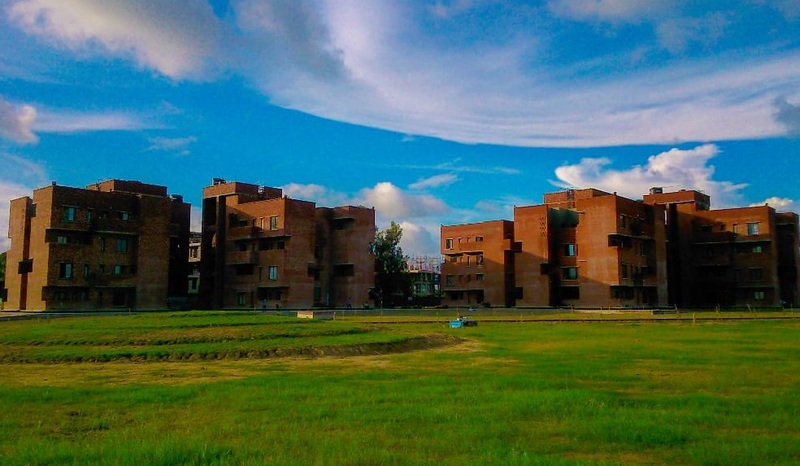 It’s actually very difficult to pinpoint one thing which makes IIM Kashipur unique, but one thing which it has is its natural beauty. Which ABG company would one want to work for and why? The company that I would like to work in the Aditya Birla group is the Aditya Birla Capital. I being a both marketing and finance institute always though banking is the industry which I have to be so that I can fulfill my thirst of doing marketing and finance. By the virtue of my internship I got an opportunity to experience Banking industry and could understand specifically how an NBFC functions. Aditya Birla in terms of size is one among the top 5 private NBFC’s in the country, which would be a great start for my career, and also the organization is known for the way it treats of employees.